Dietary fiber plays an important role in maintaining good health, by helping to lower cholesterol levels, relieve constipation and feed gut friendly bacteria. Fruits and vegetables are some of the best sources of soluble and insoluble fiber; in this article we list out fruits with the highest fiber content. Compared to other fleshy fruit, passion fruit has a lot of fiber, with close to 25 g per one cup serving. It is also a rich source of various nutrients, including vitamins A & C, the B vitamins, iron, magnesium and potassium. Passion fruit is delicious on its own, but is also a great ingredient to include in smoothies like this one. Dried fruit is a concentrated source of carbs, both in the form of fiber and sugar. An average sized medjool date has 1.6 g of fiber and 16 g of sugar, which is much more than the amount found in the same weight of fleshy fruit. Dates are very sweet, making them a natural alternative to candy. That said, they are also high in calories, so should be eaten in moderation. Prunes are another type of dried fruit, obtained by removing most of the water from plums. It is well known that both prune and prune juice consumption are an effective way of treating constipation, which is primarily because of their high sorbitol content. The benefits associated with eating prunes include improved digestion and reduced risk of colon cancer. Despite being thought of as a vegetable, avocados are in fact a fruit. However, unlike most types of fruit, they contain large amounts of fat (most of which is the healthy monounsaturated kind) and not a lot of sugar. 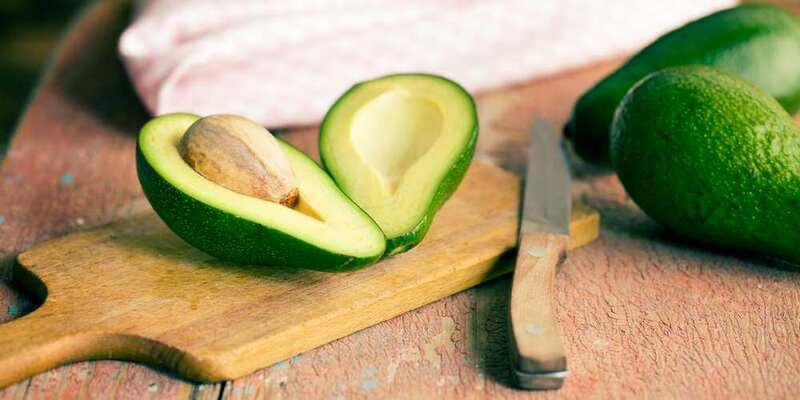 Also, if you take a look at the nutritional profile of an avocado, you will also see that it contains significant quantities of many common vitamins and minerals. For this reason, it is a good idea to regularly include this fruit in your diet. At only 64 calories per cup, raspberries are a great option if you are looking for a low calorie, high fiber fruit to eat. Raspberries are a source of anthocyanins, which are powerful antioxidants that fight inflammation and oxidative stress in the body. This in turn means that raspberries are a cancer and heart disease fighting food. Fresh raspberries are usually abundant in the summer, with the frozen variety being available year round. Besides having a lot of fiber, guavas are also one of the best sources of vitamin C, providing you with all of your daily requirement per fruit. 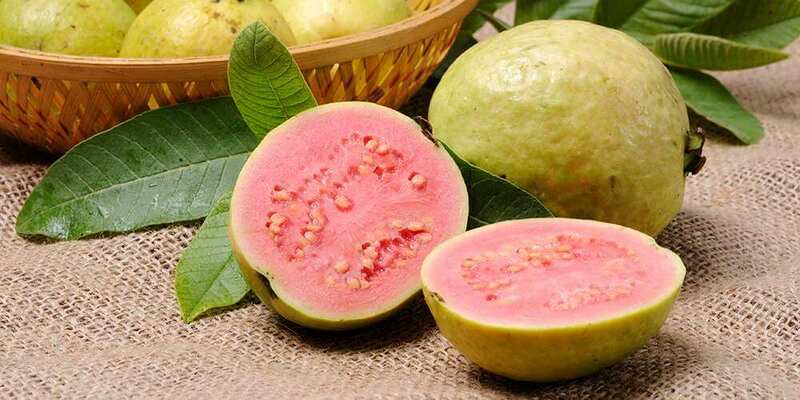 The guava is native to Mexico and is cultivated in tropical & subtropical regions; if it is available where you live, definitely give it a try. You can eat the fruit on its own or include it in salads and desserts. Blackberries are another low calorie, high fiber fruit. They contain quite a bit of vitamin K, and are one of the best fruit sources of it. Blackberries are a versatile ingredient and can be used in all sorts of recipes. For example, you could make your own healthy blackberry and chia seed jam, which is packed full of fiber. Because of their tart flavour, cranberries are one fruit you are unlikely to eat by the handful. Still, they make an excellent ingredient to use when preparing sauces to be eaten with other foods. Cranberries help to prevent (and treat) urinary tract infections, benefit the heart and assist with digestion. Pomegranates contain plant compounds known as punicalagins and punicic acid, which both have powerful medicinal properties. Pomegranates have been shown to reduce the risk of prostate & breast cancer, lower blood pressure, combat bacterial & fungal infections and they may even help to fight arthritis. Raisins are traditionally produced by allowing freshly harvested grapes to dry in the sun. Doing so gets rid of a lot of water, leaving behind a dried fruit that is rich in fiber and sugar; a cup of unpacked raisins has 5 g of fiber and 85 g of sugar. You can eat raisins in various ways, like adding a handful to your morning oatmeal or homemade trail mix. Some people love the taste of olives, whereas others can’t stand them. These tiny fruits grow on olive trees and have been cultivated for thousands of years. Like with avocados, olives are a fat rich fruit, with around 80% of their calories coming from fat. Much of the fat is oleic acid, a healthy monounsaturated fatty acid. 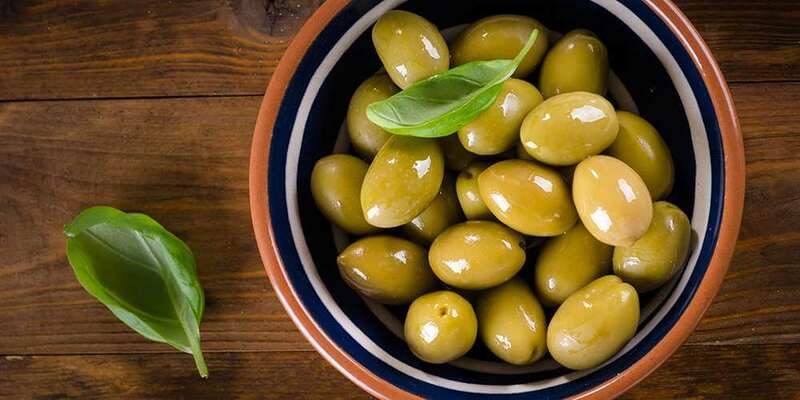 Olives do contain quite a bit of sodium, so it is important to enjoy them in moderation. There are quite a few varieties of pears available, including Bosc, European, Almond leave and Algerian. All of these contain a lot of fiber, having more than 5 g per medium sized fruit. Pears are also sweet tasting and low in calories, meaning they are a good choice when trying to lose weight. Poached pears are a delicious dessert you can make at home, to be enjoyed after a meal. Also known as the Chinese gooseberry, kiwifruit is another vitamin C rich food, providing more than 100% of your daily requirement per medium sized fruit. A lot of fiber is present in the brown skin of the kiwifruit, so be sure not to throw it away. Check out this page on kiwifruit.org for lots of delicious recipes. Like is the case with most of the fruits previously mentioned, figs contain powerful antioxidants that help to combat a number of diseases. Small figs have around 1 g of fiber, whereas large ones have double the amount. Figs can be eaten raw or cooked in a variety of ways. Bananas are one of the most popular fruits on the planet, being enjoyed all over the world. They are rich in natural sugars and are also very filling, making them a convenient food to snack on. Much of the fiber found in bananas is in the form of pectin and resistant starch, with the latter being a food source for friendly bacteria in the gut. Another very common fruit, oranges have 2 to 4 g of fiber, depending on their size. Commonly known for being a super source of vitamin C, they also provide smaller quantities of other vitamins and minerals. There are plenty of varieties of orange for you to enjoy, so be on the lookout for them the next time you go shopping. Blueberries have long been touted as being one of the top 10 healthiest foods on the planet, and are often referred to as a “superfood”. One of the reasons for this is because they are believed to have the highest antioxidant capacity among common vegetables and fruits. This means they help to reduce DNA damage and protect against diseases like cancer. You can enjoy blueberries both fresh and frozen. When people think about eating healthy, apples are one of the foods that pop into their minds. The high fiber and water content of apples makes them filling, which comes in handy when trying to lose weight. Apples are full of nutrients that may improve heart health, reduce the risk of diabetes, fight asthma and keep your bones strong. As you know by now, berries are very nutritious foods, and strawberries are no different. Like blueberries, blackberries and raspberries, strawberries contain a lot of vitamins, minerals and antioxidants. Having only 49 calories per cup, this sweet and succulent fruit can be added to fruit salads or frozen and then used to prepare healthy sorbet. Orange coloured fruits and vegetables tend to contain large quantities of beta-carotene, and apricots are no different. Beta-carotene is a powerful antioxidant that is converted to vitamin A in the body, which is needed to keep your eyes, skin and hair healthy. Besides the fruits mentioned above, there are others that have fiber in lesser amounts. Including these fruits in your diet is a good idea because eating them helps to increase your overall intake. The table below compares the fiber content of 100 g of various fruits. Is peanut butter gluten free?